So I know what book I’m going to read next because I hate myself that I put this series off so long. As you see from above Changeless from the Parasol Protectorate is next. The first book (which I read around 2 years ago >__< sorry Gail Carriger) is Soulless. It’s excellent! I was first introduced to this series by my best friend and what can I say the girl knows what I like. 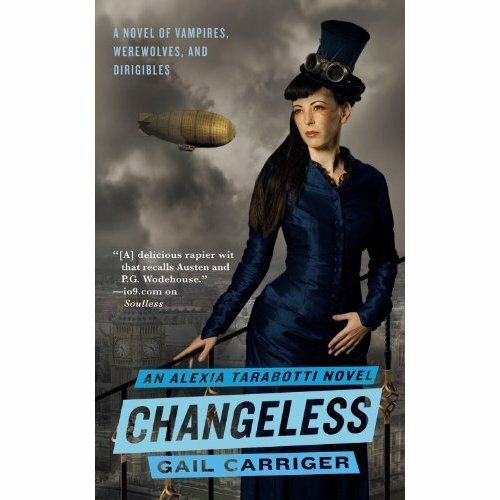 If you like Tough girls, steampunk and some supernatural elements (werewolves being my favorite.) Then you have to give Soulless a try (especially since none of the vampires glitter instead they’re more up Anne Rice’s ally *wink*.) College kind of got in the way of my books to read for fun but no longer! I can’t wait to finish the rest of this series and the author Gail Carriger is an excellent writer! I’m going to post the book description for SOULLESS here so if it strikes your fancy you can pick it up with out getting anything spoiled. First, she has no soul. Second, she’s a spinster whose father is both Italian and dead. Third, she was rudely attacked by a vampire, breaking all standards of social etiquette. Where to go from there? From bad to worse apparently, for Alexia accidentally kills the vampire – and then the appalling Lord Maccon (loud, messy, gorgeous, and werewolf) is sent by Queen Victoria to investigate. 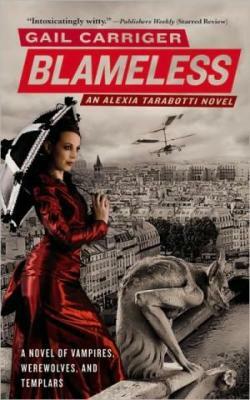 With unexpected vampires appearing and expected vampires disappearing, everyone seems to believe Alexia responsible. 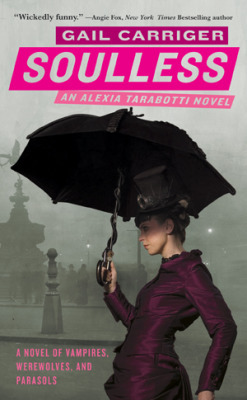 Can she figure out what is actually happening to London’s high society? Will her soulless ability to negate supernatural powers prove useful or just plain embarrassing? Finally, who is the real enemy, and do they have treacle tart?